LARC works hand in hand with a number of positive organizations which work to not only help animals gain the chance they need at a loving home but members of the community as well. One such program is the Pawsitive Direction Program. 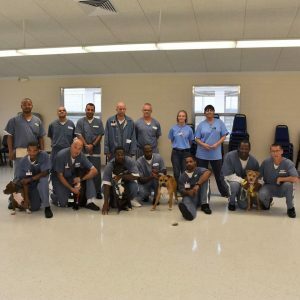 Established in 2016 by Denise Rock and LARC, Pawsitive Direction Program is 12-week training program directed by renowned dog trainer and owner of Star Dog Obedience, Melody Owens. 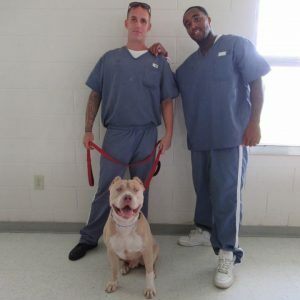 The intention of this program is not only to help shelter dogs get the behavioral and social training they need by graduating obedience training, obtaining AKC Canine Good Citizen (CGC) certification, and receiving a Bachelor’s/Master’s/PhD in Canine Life and Social Skills (CLASS), but also to help handlers of the dogs, men under custody at the Okeechobee Correctional Institution. 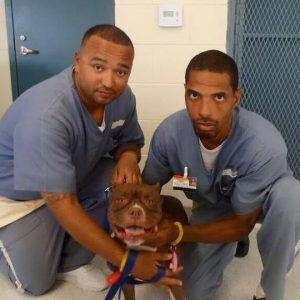 These men learn skills needed to help shelter dogs to get the forever homes they deserve. 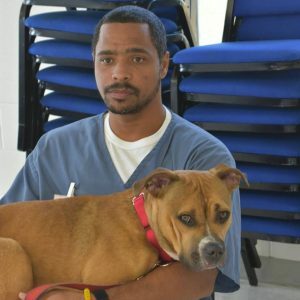 The goal is to provide these men with a job skill that can be utilized in the future and also to provide innocent shelter animals with the best chance at getting adopted! 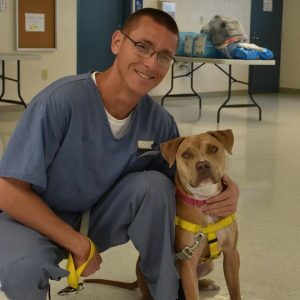 Are you willing to volunteer or foster? 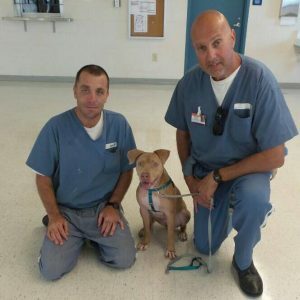 Loxahatchee Animal Rescue Community (L.A.R.C.) is proud to announce our official 501(c)(3) nonprofit rescue organization status! Loxahatchee Animal Rescue Community, Inc.